“This McMillan stock really changes the weight budget. Kelly McMillan updated his three-way buttplate design to make it substantially lighter and the stock itself has a very light fill. Fully assembled, with a 29″ HV-contour barrel (.900″ at muzzle), Duplin bipod, and Nightforce NXS scope, the rig is about 10 ounces under weight. Switch to a Nightforce Competition scope and it will be 14-15 ounces under.” Ray says he could run a slightly longer barrel and still make weight. Initially, Ray will install a Jewell trigger in the rifle, but he hopes to try out a Bix ‘N Andy trigger in the future. Made in Austria, the advanced Bix ‘N Andy trigger (shown below), features ball bearing internals for an ultra-smooth, creep-free pull and very short lock time. 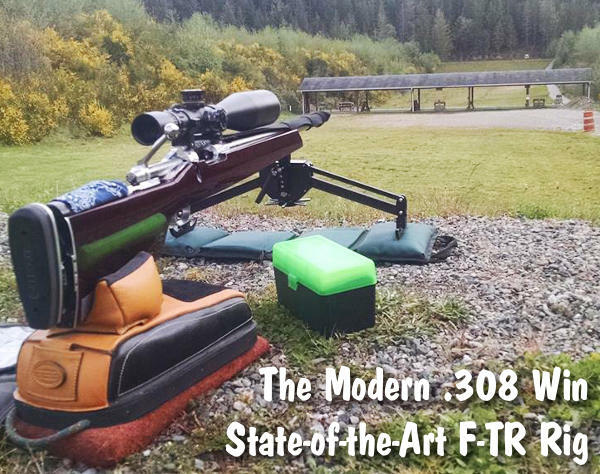 Share the post "Ray Gets His Gun… With New McMillan F-TR Stock"